While in the early part of the Fall Season, many homeowners thoughts are turning to cold-weather themed home improvement projects. While this is certainly important and many weather-related considerations are planned, don’t forget about next spring and summer. 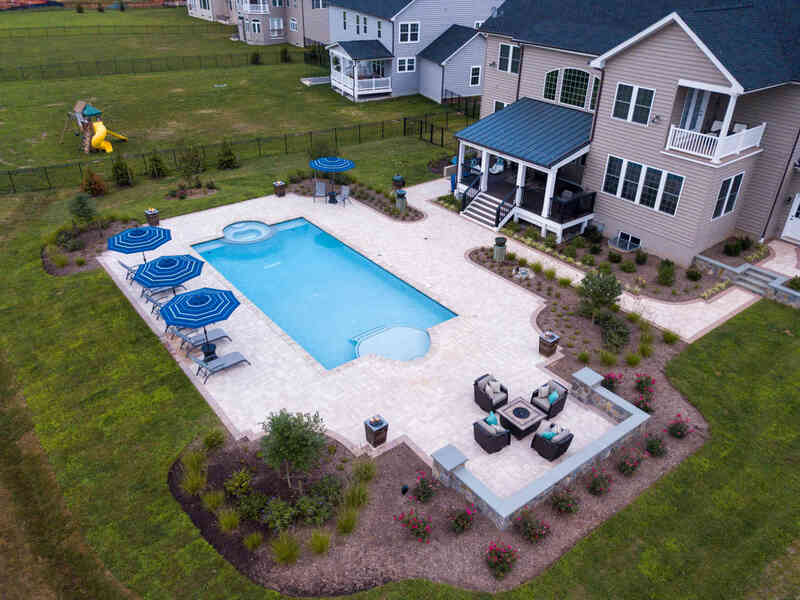 In fact, if you’re thinking about getting a pool for your home in Maryland, now is actually a great time to start planning for next year While you’re sitting inside dreaming of warm weather, take advantage of these thoughts and channel them into planning your new pool for an early start on construction next year! The more time you have to plan, the better. Investing the right amount of time into planning for your new pool is important for several reasons. First, you won’t feel like you’re in a rush to get things done. You can really take your time to figure out everything you want from your pool. Starting planning in the fall also gives you time to find the right pool contractor in Maryland, plan out the design, and find a work-around for any potential problems such as zoning restrictions. Sometimes when you plan a project in a limited time frame, you find yourself second-guessing after work has already begun. With the fall and winter to plan, you can narrow things down just how you want them, and reduce the possibility that you’ll want to make changes once the project starts. You can get an early start next year. If you take care of all the pre-construction details in the fall, you can get an early start on building next year. Start construction in the spring and have your pool ready for a summer full of outdoor fun! Summer is a busy time for pool contractors in Maryland. By locking down a contractor now, you beat the rush and ensure that construction of your pool can fit into your schedule. Rhine Landscaping and Rhine Pools are dedicated to bringing you the ultimate outdoor living experience. More than just a pool builder, our expertise in outdoor living helps us design the custom outdoor living experience you’re looking for. 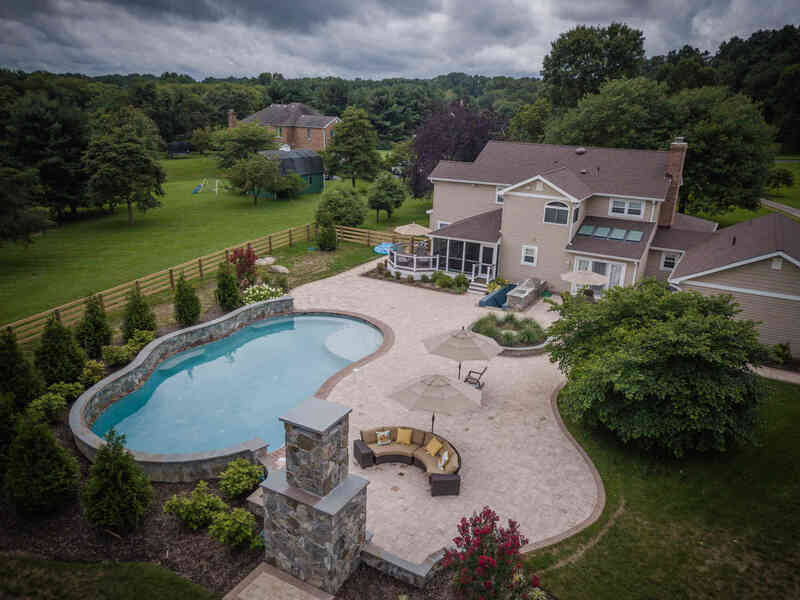 If you have any questions about a new pool or about pool renovations in Montgomery County, contact RHINE Pools by calling 410-442-2445 or clicking here today! 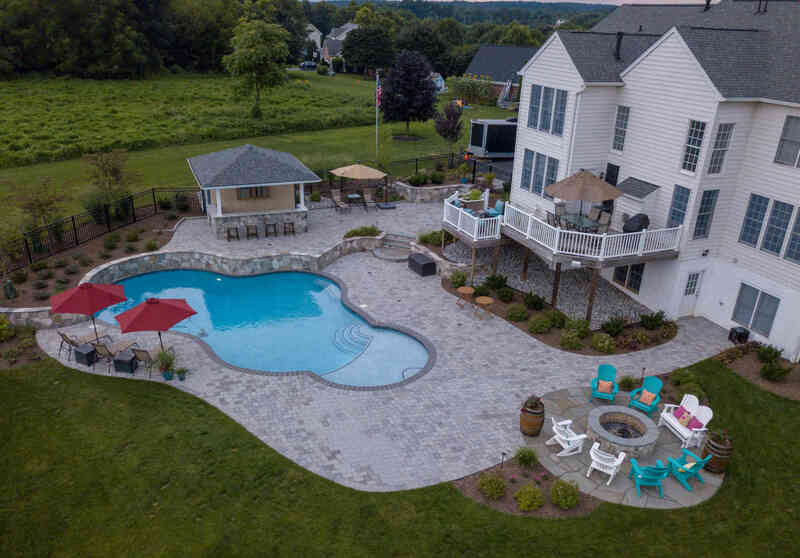 This entry was posted on Wednesday, October 17th, 2018	at 7:46 am	and is filed under custom pool, Maryland Pool Design, Poolscaping, Poolside Landscape Design, Swimming Pools	. You can follow any responses to this entry through the RSS 2.0	feed. Both comments and pings are currently closed.